The Abandoned Oil and Gas Well/Site Remediation Fund was established in 1996 to address the problem of abandoned oil and gas wells and remediation sites related to oil and gas exploration and production activities. Monies from this fund can be used by the Conservation Division to plug abandoned oil and gas wells and remediate surface and groundwater contamination related to oil and gas activities. To report the location of an abandoned oil or gas well, contact the appropriate KCC District Field office. Plugging of abandoned wells is on a priority basis. Wells having ongoing or potential for environmental damage or public safety considerations receive the highest priority. 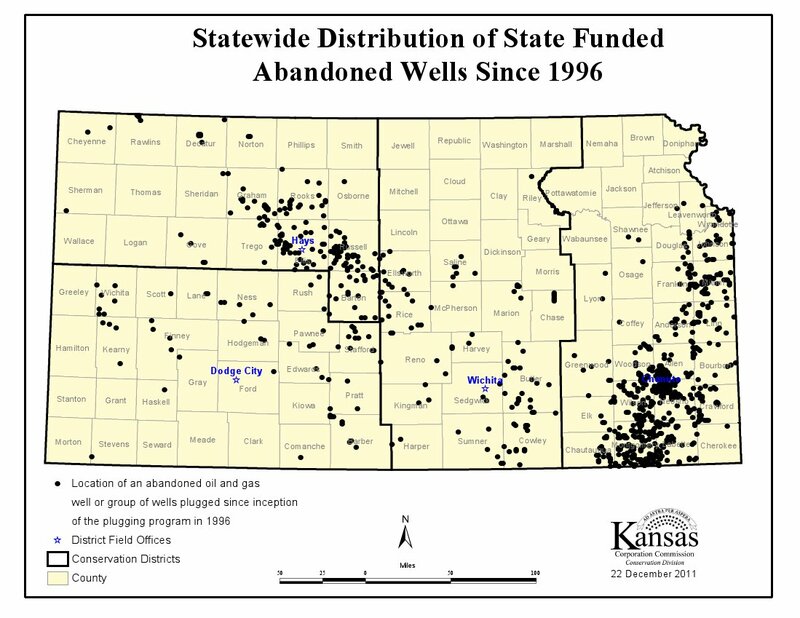 Download a pdf version of the Statewide Distribution of State Funded Abandoned Wells since 1996 map.